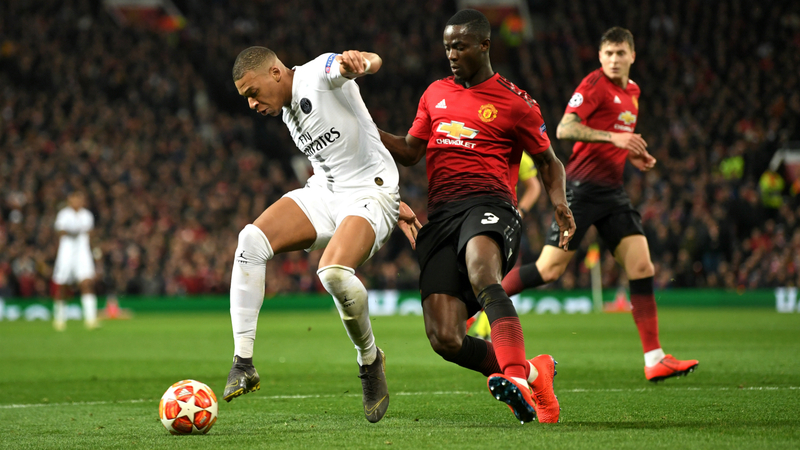 Eric Bailly concedes Manchester United's morale dipped after conceding the first goal in Tuesday's 2-0 Champions League defeat to Paris Saint-Germain. The Red Devils had contained the Ligue 1 champions at Old Trafford until Presnel Kimpembe turned home Angel Di Maria's corner in the 53rd minute in the first leg of the last-16 tie. Di Maria had a second assist seven minutes later with a pinpoint pass for Kylian Mbappe, leaving the Red Devils with a mountain to climb in the return fixture. Centre-back Bailly acknowledged the first goal changed the complexion of the tie but he is keen to move on from the setback. "It's difficult, it's a big disappointment. We were off to a good start," he said. "In the first half we were fine. We conceded a goal from a set piece and took a blow to our morale. Then we conceded a second goal. "Now we're going to forget about this game. There are more matches to come and think about in the future." The loss was United's first defeat since Ole Gunnar Solskjaer was appointed caretaker boss following the sacking of Jose Mourinho in December. But Bailly insists there was no overconfidence among the squad. "No, we played on our strengths," he added. "We played on the counter-attack. "The first half we were good, we defended well. On a mistake, we conceded the first goal. "After that, the team tried to give its best. Unfortunately, the second goal came next, so it's a shame."